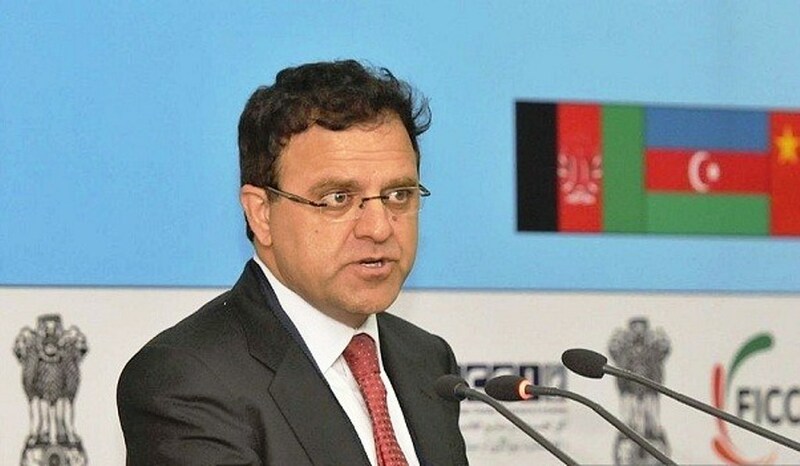 Afghan Ambassador to Pakistan Dr Omar Zakhilwal has said that issues couldn’t be resolved through sealing of the borders, restrictions and sanctions. In his address at the Afghan Consulate General, he welcomed the decision of the re-opening of the border crossings and extended special thanks to Prime Minister Muhammad Nawaz Sharif in this respect. “Afghanistan is determined to help in resolving all issues through mutual understanding and consultations,” the Afghan envoy said, adding that all allegations and reservations need thorough probe and scrutiny. He claimed that Afghanistan ‘believe in friendly and brotherly relations’ with Pakistan and expecting the same. Both Pakistan and Afghanistan were facing similar issue of terror, he said, suggesting maximum trust and confidence to resolve the issues. On Monday, the Afghan Consulate General arranged a colourful function in connection with the Nauroz – a festival to celebrate beginning of the spring season. Khyber Pakhtunkhwa Senior Minister Sikandar Hayat Sherpao and Afghan Ambassador to Pakistan Dr Omar Zakhilwal attended the event. Former provincial minister Mian Iftikhar Hussain, Iran’s Consul General Dr Mohammad Baqar Beegi, former National Assembly member Jamila Gillani and a large number of Afghan elders, intellectuals, traders and tribal elders were also present on the occasion. During the event, participants have discussed in depth current situation of the region and stressed on strengthening of bilateral relations between Pakistan and Afghanistan. In his address, Iftikhar said that peace and tranquillity in Afghanistan was possible through peaceful and political means. In this respect, he reminded of ANP’s support in reconciliation policies, intra-Afghan dialogue and international community’s endeavor on terror. Similarly, he said that ANP also favours and supports trust worthy relations between Pakistan and Afghanistan, which according to him is in benefit of both the country and its people. Showing resentment over increasing tension between Pakistan and Afghanistan, Iftikhar said it was beneficial only to enemies of both the countries and terrorists. On such grounds, he said that they already opposed sealing of the borders and made frequent calls for its reopening. He said that terrorism and extremism were identical issues before Pakistan and Afghanistan and the leadership must enter into trust worthy relations with each others. Senior Minister Sikandar Sherpao also congratulated the government and people of Afghanistan on the eve of the New Year day and prayed for early return of peace in Afghanistan. He said that it was the time for leaders of both the countries to revisit policies and must trust and support each other. Afghan Consul General Dr Abdullah Waheed Poyan, Naqeebullah Ihsas and others also addressed the function. The Afghan children enrolled in different educational institutions also sang national songs and presented performances related to the event.